Would their love go on as promised—forever and a day? The Governance has had the final say. Joseph has been banished. With a broken heart Melodie must go back to her mortal world at Heartworth Castle without the arms of her ghost around her, without the warmth of his smile. But some hope still remains. The surprising gift that her housekeeper Kate has shown her may just be the key. Can Melodie and her friends find the silver book and bring Joseph back? And who is this Irish stranger who clumsily lends a hand? The thrilling next installment in The Castle Series, The Soul Keeper will keep you glued to every page. 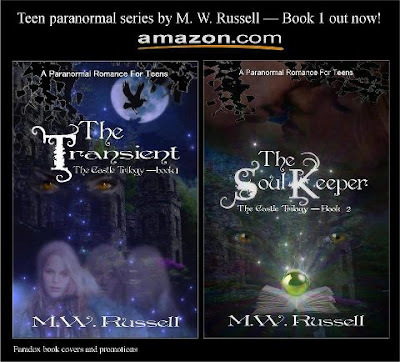 The second Book in the Castle series, - The Soul Keeper by Maree continues from where we left off. Melodie is heartbroken at the loss of Joseph to the other side, but here in this instalment we meet new and quirky characters that entwine with the characters that Maree has already put forth in her first instalment. We are taken on a journey of discovery for Melodie – and a journey of all sorts for other characters. Love, suspense, dramas and a worlds that one could only imagine. With the adventure that Maree takes us on in this instalment we laugh along the way, get teary eyed for the characters and watch as the friendships and bonds grow stronger then in book one. We are taken on a rollercoaster ride - of ups and downs in this book and it keeps your fingers gripped at every page turn. This author paints such vivid details into her stories. A world filled with magic, characters that grow within every page, and a story to tell, to anyone of all ages. The writing is crisp, the storyline well written and the characters that Maree has created are certainly memorable and most likeable. I enjoyed all the characters that Maree has put forth within this story, I have to say I giggled at many antics within this story, it had a lighter feel at many times, but also many darker ones that you won’t see coming. The relationship and story that forms between Melodie and Joseph is strong, innocent, yet heart-warming and loving. You can’t help but feel for Melodie with her struggles to get the silver book back and her lost love a well. A few twists and turns are also present – they will certainly have you wandering where she is taking us within the story. Reading Maree’s stories are like being within the pages, her passion for the world she has created shines through her writing – her wonderfully scripted characters are brought to life within each page and her story tells a story that is unique and memorable. A must read series for all the young at heart and for all those who enjoy being taken to another world among words.